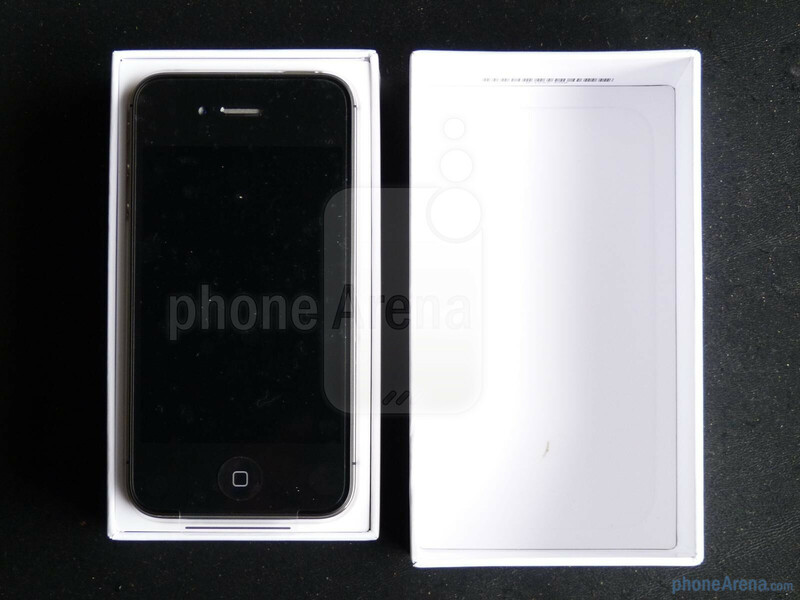 At long last, but after one busy week at CTIA Enterprise & Applications 2011, we’re finally back into the swing of things this week, and of course, the long awaited Apple iPhone 4S recently came knocking on our front door just waiting to be checked out. Naturally, some people aren’t going to be all that immensely impressed with the handset primarily because it’s not that next-generation device we all dream about. 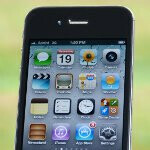 Rather, the iPhone 4S is simply that incremental upgrade to last year’s revamped Apple iPhone 4 model. 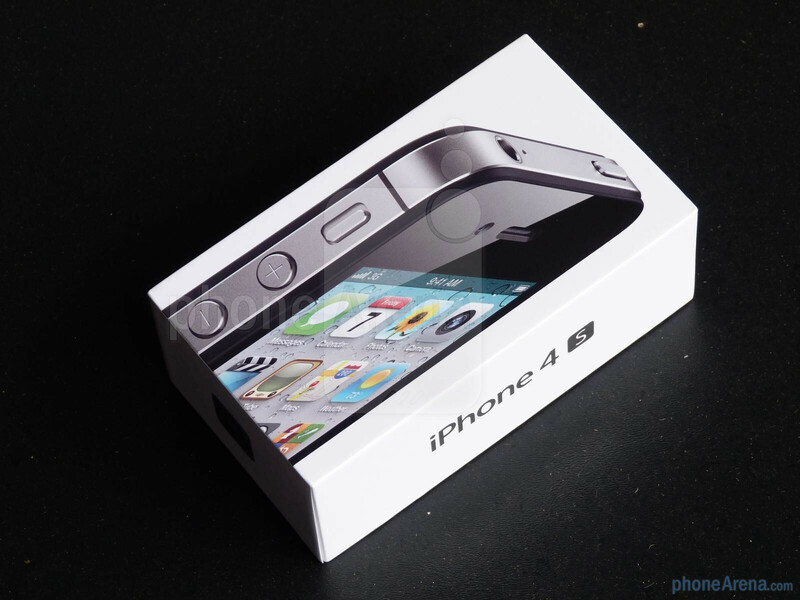 In typical Apple fashion, the packaging for the iPhone 4S follows accordingly to all previous iPhones in the past with its compact and timeless approach. 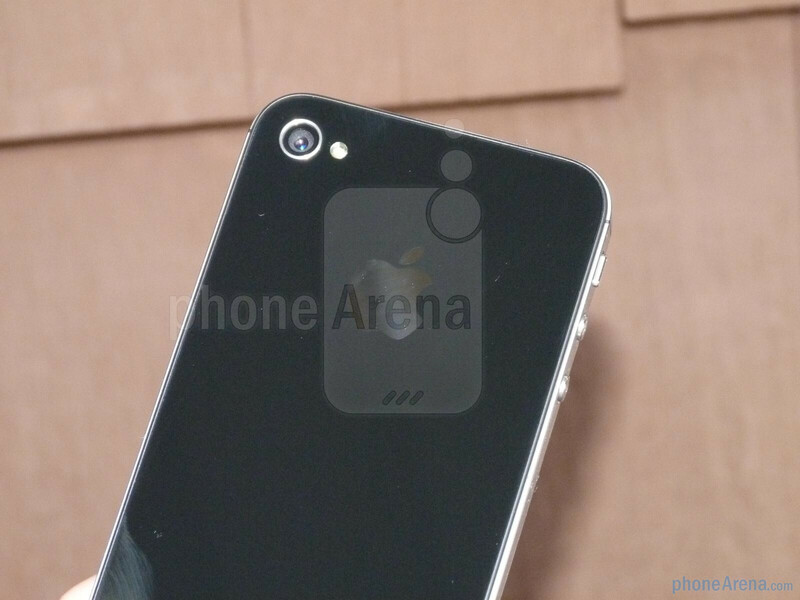 On the front, there’s a close up image of the smartphone showing us all of its fine details, while the sides lay home to some logos such as the iPhone 4S, iCloud, and Apple. 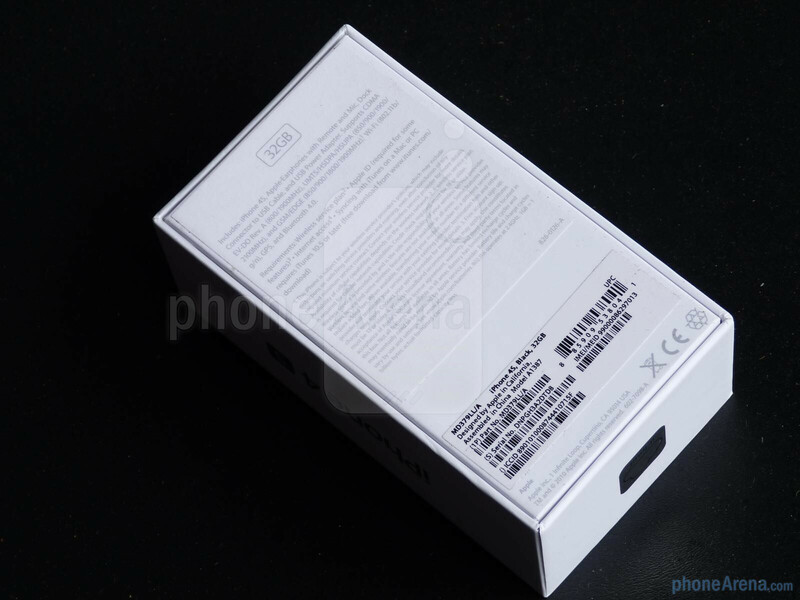 Finally, we’re treated with some minimal details in regards to the packaging contents, and some serial information in the rear of the box. Inside, there’s nothing out of place as find the usual set of documentation, wall charger, USB cable, and those iconic looking Apple earphones. 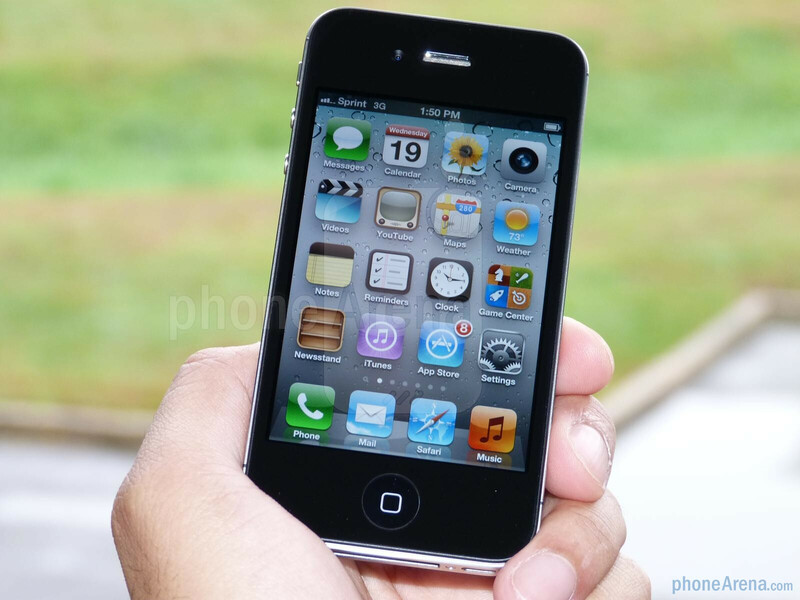 So with the iPhone 4…err we mean the iPhone 4S, it retains the same iconic looks as its predecessor, which isn’t a bad thing to tell you the truth, but some are naturally inclined to expect just some minor changes to differentiate itself. 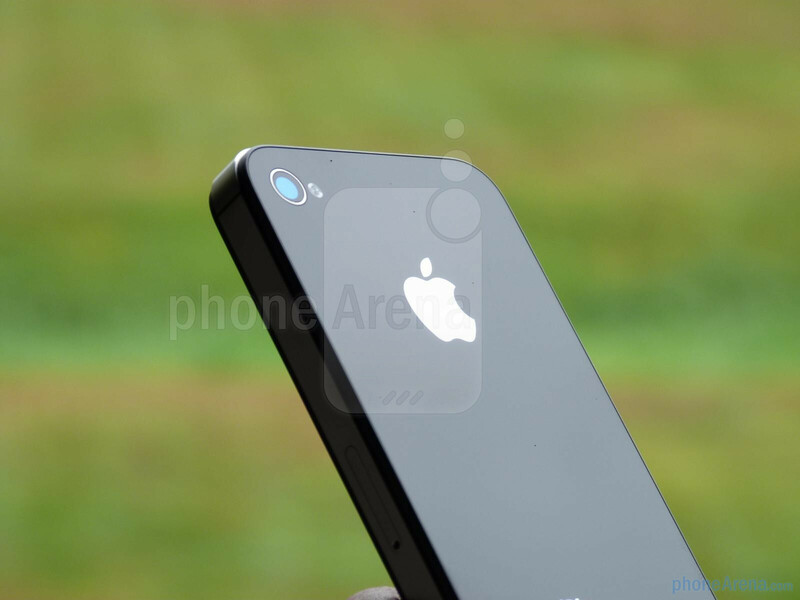 Nevertheless, it’s still one premium feeling handset and it basically exudes all those lovable top-notch qualities we like about the iPhone in general. In between its two glass like materials, they’re held together by that polished looking brushed stainless steel band, which doubles as the handset’s antenna. 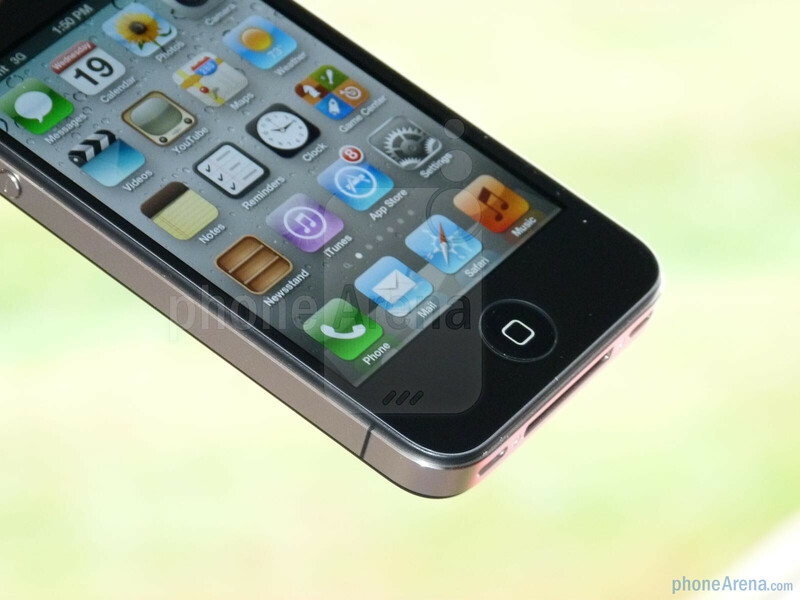 This time around, however, Apple has redesigned it to offer improved connectivity – well, we’ll be judge of that considering we experienced the dreaded death grip with the iPhone 4. 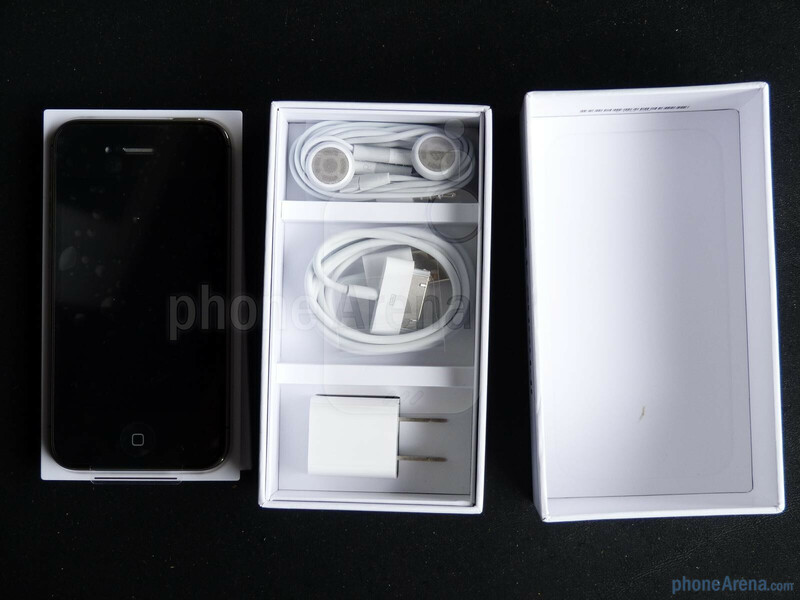 All in all, the iPhone 4S is undeniably a quality product, but it lacks that pizazz to truly captivate people mainly because of its rehashed design. 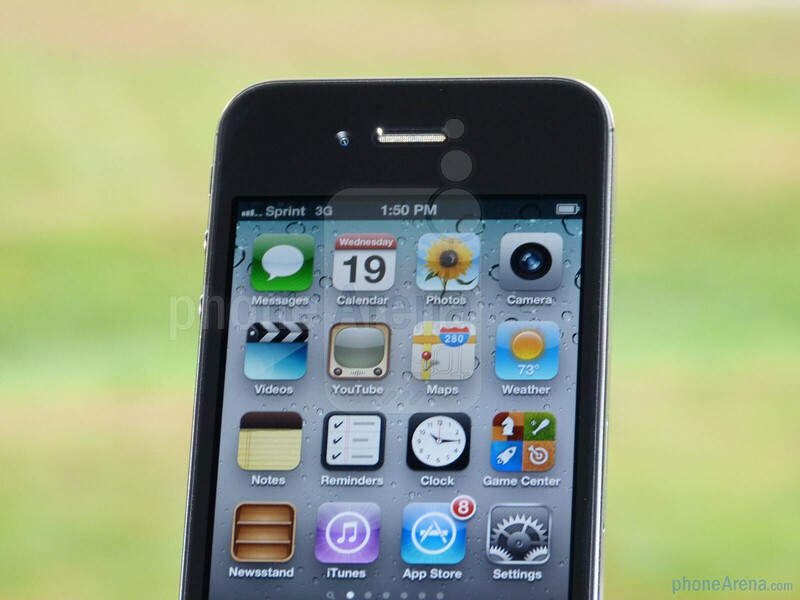 On the surface, the iPhone 4S looks exactly like its predecessor, but it’s underneath the hood that we find all of its improvements – like its 1GHz dual-core Apple A5 processor. Turning it on though, our eyes are once again looking intently on its detailed 3.5” Retina display, which boasts the same 640 x 960 resolution as before. Indeed, it’s by far one of the most detailed displays on the market, but its size is becoming way too distracting to accept wholeheartedly. Nonetheless, its color production and wide viewing angles allows us to visually see everything on-screen without much degradation. Thanks to the processor, everything moves swimmingly in our quick look at iOS 5, but then again, iOS still runs fast with the iPhone 4. 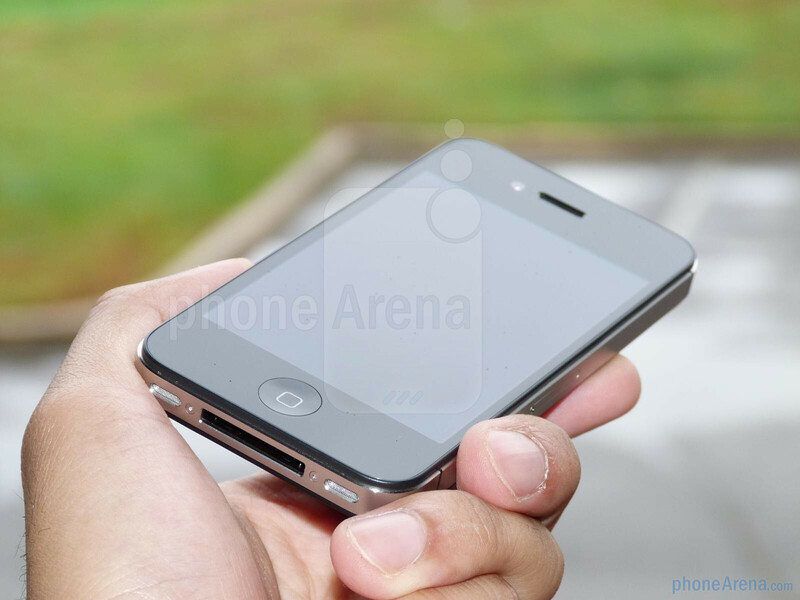 Other improvements mentioned by Apple include better battery life, an upgraded 8-megapixel auto-focus camera, and the iPhone 4S specific feature of Siri – Apple’s all-in-one digital assistant. 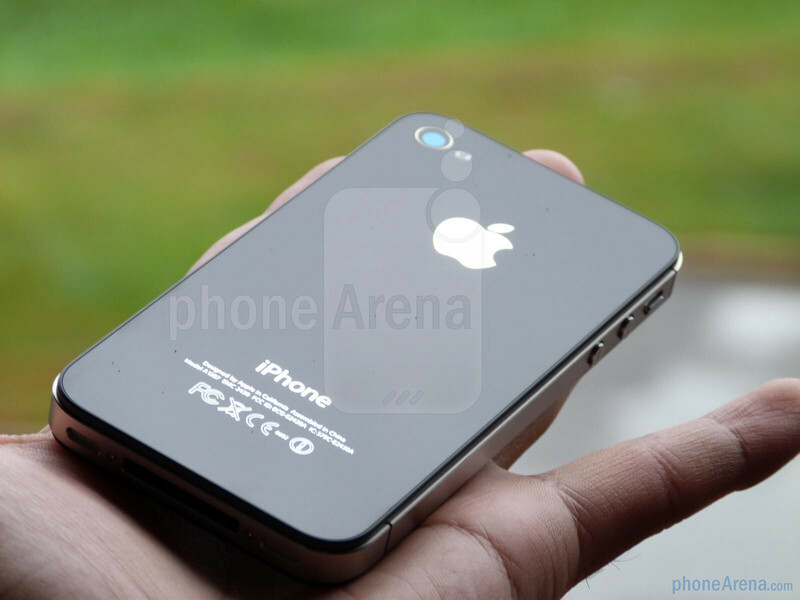 Without question, we’re still excited about the iPhone 4S and we’ll be putting it through the paces to see how it stacks up in the end. So in the meantime, you can check out the wicked pictures we snapped of the handset and watch our unboxing & hands-on video. Expect our in-depth review soon! do you have a brain ? how bout an eye ? Oh, you're a clever one. 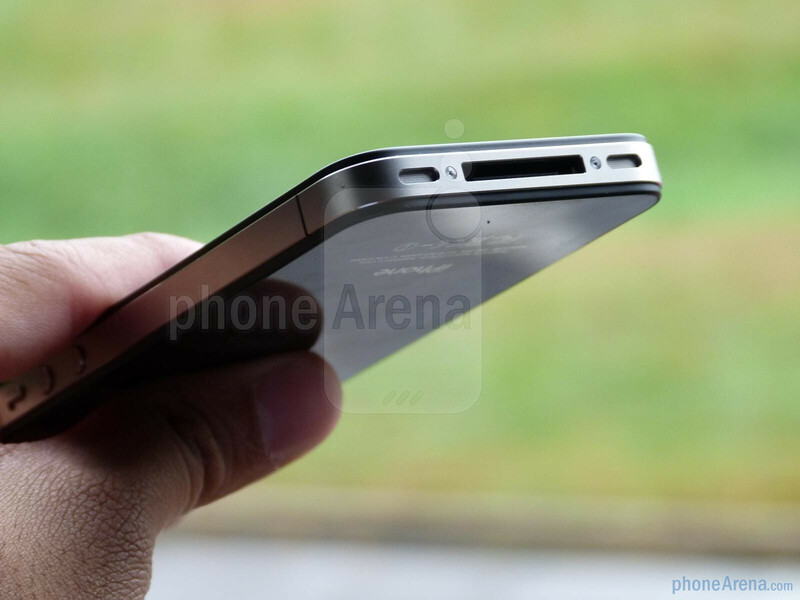 You're right, the iPhone may be marginally thinner than 10% of the Razr. ...but still thicker than the remaining 90%. Remind me again why we're comparing apples to pineapples? And all you android fanboys (since you are reading an iphone story again) i hope next year the iphone has a paper thin flange. Then apple can claim a paper thin phone and using your method to measure a phone, it would be ok. I love how you guys just thumbs down when you have no logical response. 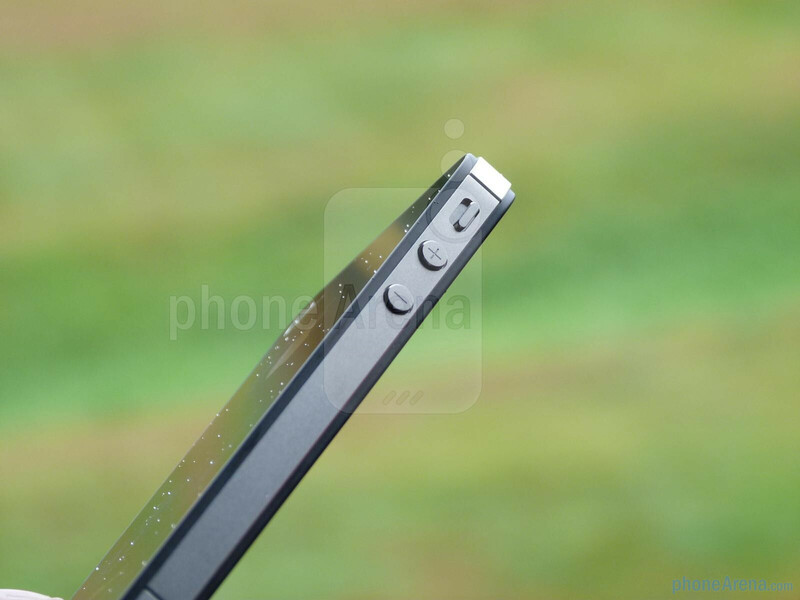 And why bother comparing thickness of one already thin device to another even thinner one? 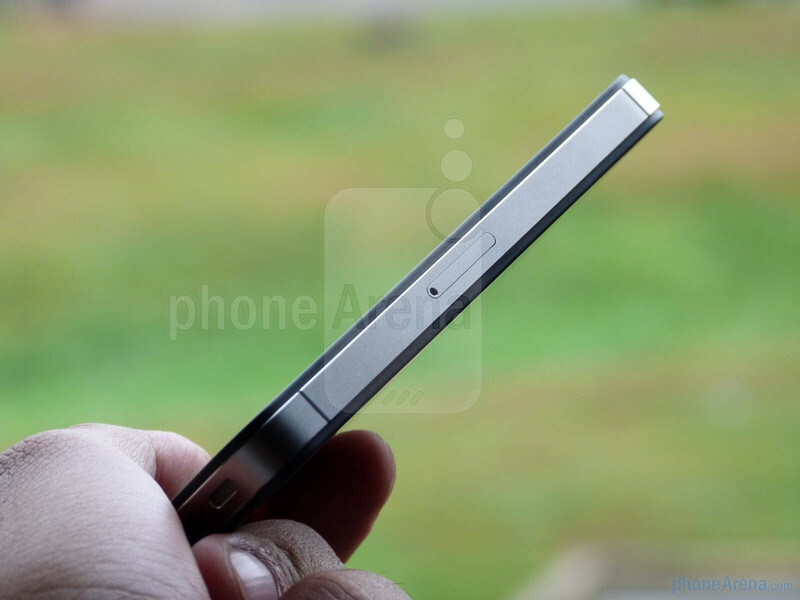 What makes the Razr truly impressive isn't that it's thin, it's that it's that thin and still LTE. Thank you. People don't seem to grasp that the GSII and 4s don't have the most current network technology (or CDMA) which in general leads to more bulk. Phones like the RAZR and Prime are coming in at what seems like half the thickness of the T-Bolt and Bionic. God, dude just shut up. 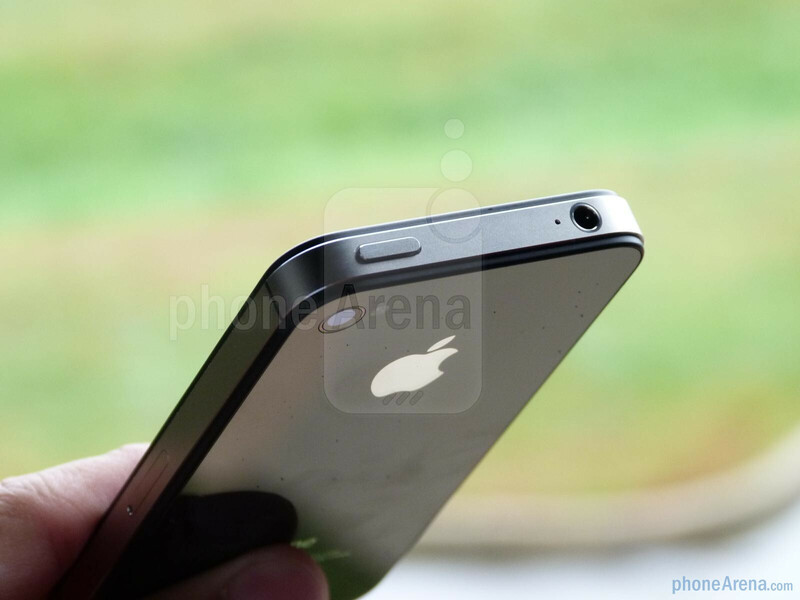 Nobody cares if the iphone is thinner, we care that Android is better. Why is roryrevolution not moderated? dont you mean 800mhz dual core A5 chip? its not clocked at 1ghz. Nope....they intentionally inflated the specs. Im surprised phonearena is doing this unboxing,didn't they unbox this phone a year ago?!!!!!! Wow.. You don't know the difference between iphone 4 and iphone 4s.. I'm surprised.. 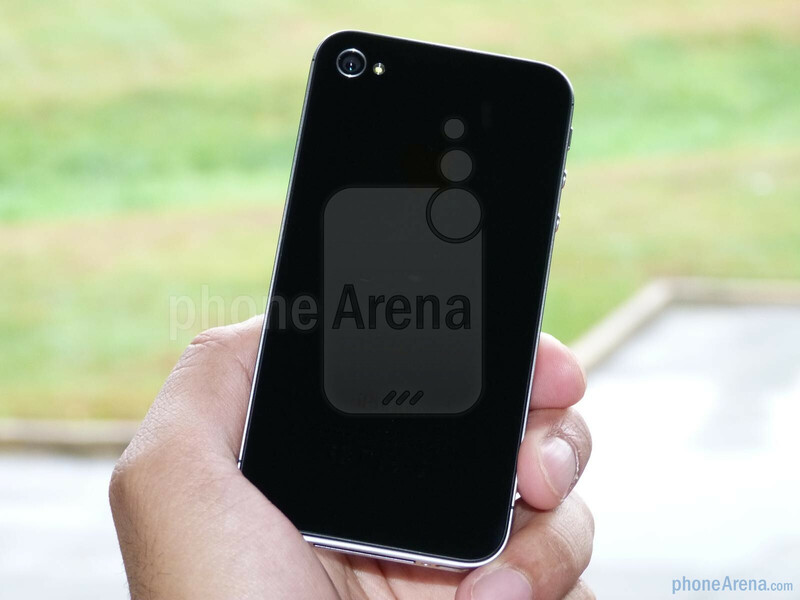 I am amazed iPhone arena didn't do this hands on the first day. To me the Iphone is all about looks... if I cared about specs and features (which I do) it would be all android... but since this pos looks exactly the same than who the F cares? yeah, why would anyone want battery life, stability, speed and no lag? ha. silly isheep. youre right. why would anyone want battery life, stability and a lag free experience? silly isheep. and how did all those wonderful android specs do in a benchmark test vs. the 4s? comparing benchmarks from different platforms are non sensical.. you should know that. I'm switching from Android to iOS because of the mass-market crap that Android phones have become. My DX2 would crash and reboot every day. Its "qHD" screen is so bad I can't read the calendar because of pixelation. The camera is so slow I wind up taking a picture of the ceiling more often than not. . Spec don't matter if the phones are crap. you kidding me? i think you should go to a doctor, have your eyes checked up and wear eye glasses..